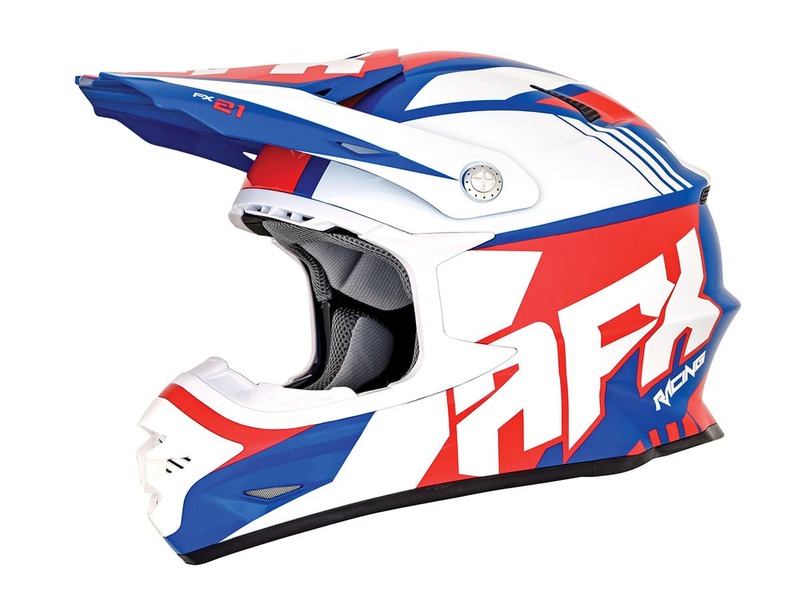 Technology/features: The AFX FX-21 is a light off-road helmet that uses a unique, in-molded, cone-head EPS construction. 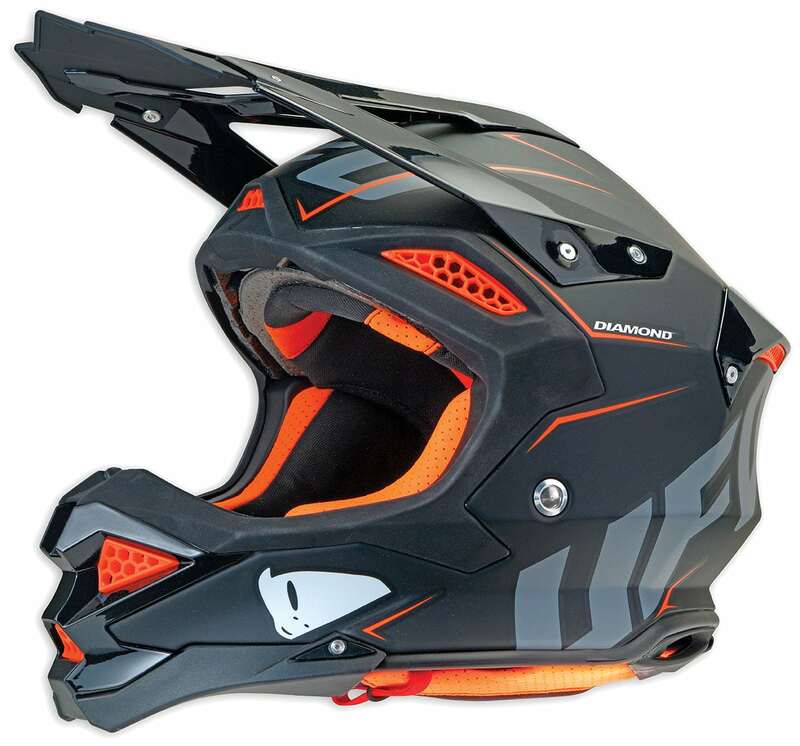 In-mold construction fuses the helmet’s outer shell with the impact-absorbing EPS liner. There are different-sized liners for a custom fit. There’s ample ear space for speakers. Venting: Three intake vents and eight exhaust vents. 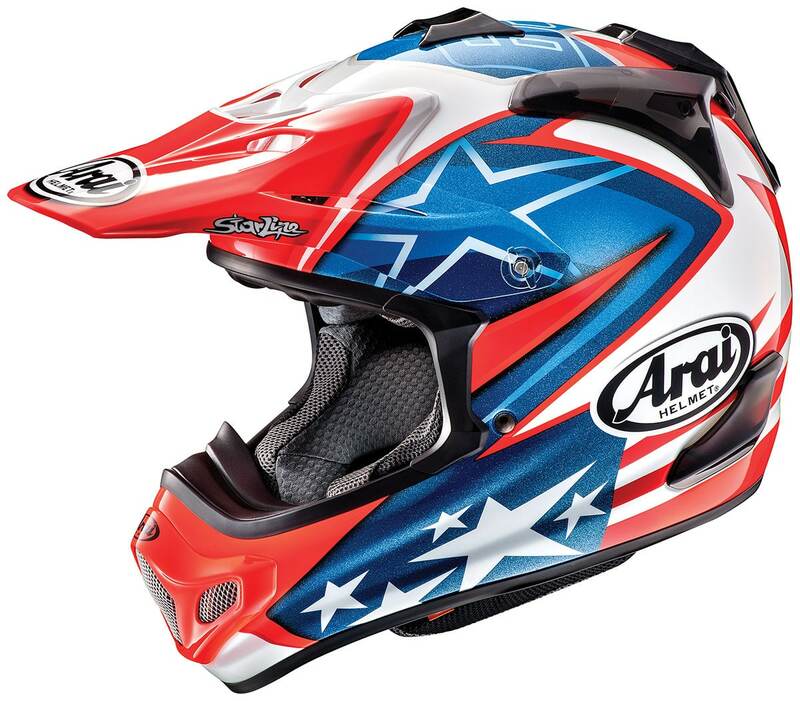 Features/technology: Arai believes in a simple and organic shell design that lacks edges to manage the energy of impacts. Their shell is a Complex Laminate Construction using high end fiberglass and features a rounded design. The result is less protrusion, which has proven to be less likely to catch and dig in during a spill. Arai vents via a Cowl Vent Design which exhausts heat more efficiently. 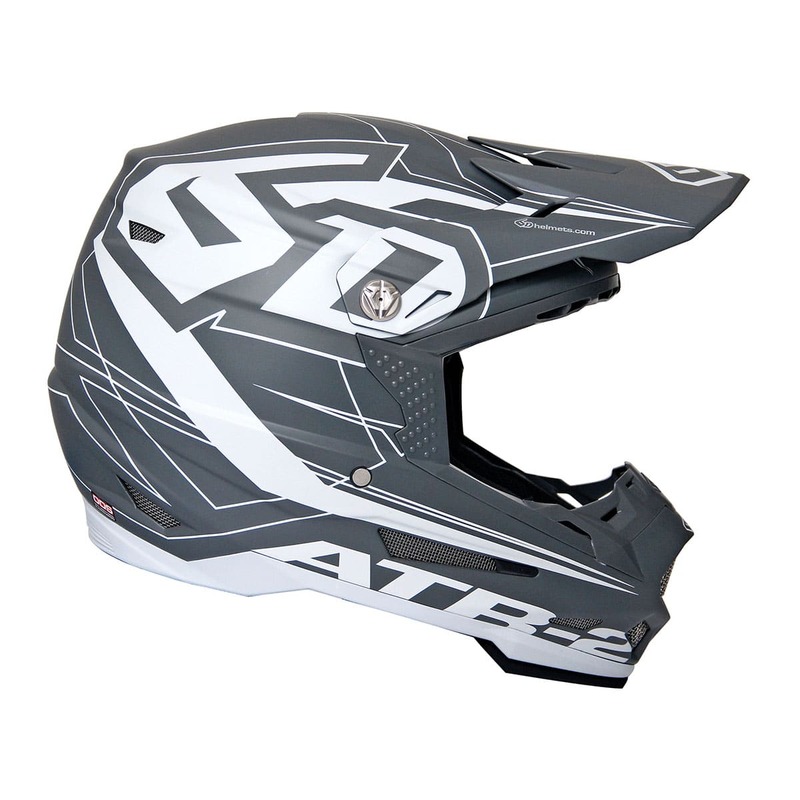 The vents are sculpted into the rear shell shape and work in unison with the AirWing to greatly add lateral helmet stability at speed. Material: CLC (Complex Laminate Construction): Contains a specially designed felt that is sandwiched between the two layers of Super Fiber Laminate. The felt acts as a reinforcement layer without adding significantly to the weight of the helmet. Venting: CVD heat exhaust system. Technology/Features: The Moto-9 Carbon Flex features a three-layer impact liner with multiple densities of material to more comprehensively disperse impact energy and works to reduce rotational energy transfer. Bell partnered with Fasthouse to produce the Day In the Dirt Edition pictured here, which sells for $649.95. Material: 3k Carbon composite shell. Technology/features: 6D’s new advanced ODS system in the new ATR-2 helmet offers improved performance and paves the way for new standards in athlete brain protection by providing protection over a broader range of energy demands. The ATR-2 has a strengthened upper eyeport area. A cervical protection zone works to protect the rider if the helmet is pushed down and back into the neck and spine during an accident. The ATR-2’s shell has also been optimized to perform in concert with the advanced ODS. 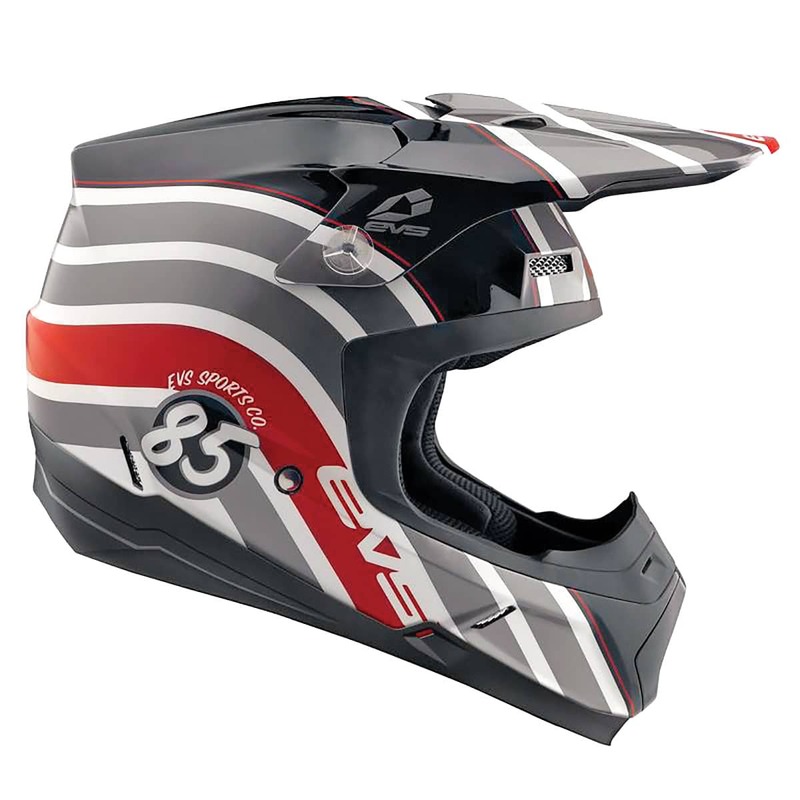 Technology/features: The EVS T5 is a price-focused helmet that is fit with a dual-density EPS liner for energy management, compression gaskets that integrate with a race collar/neck brace, high-flow venting and a polycarbonate shell. 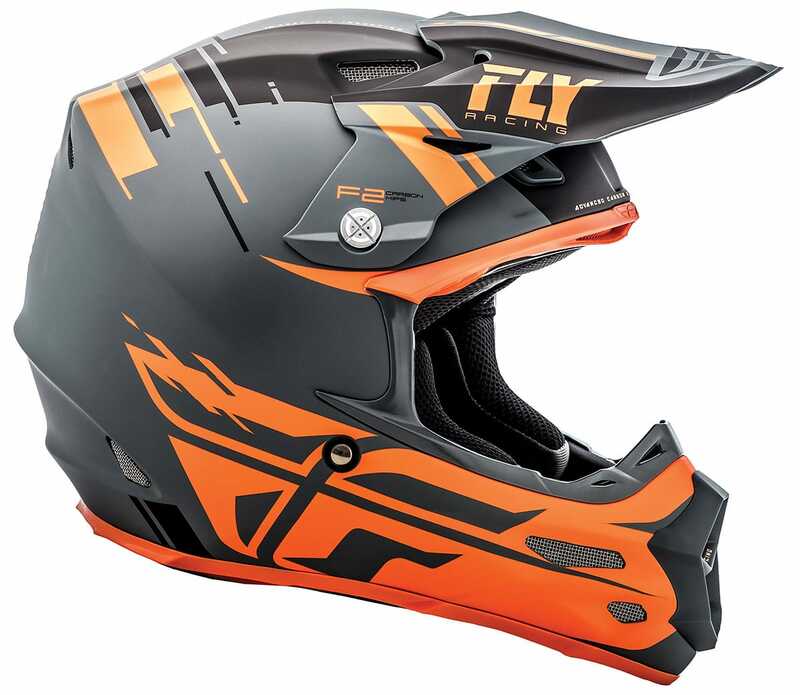 Technology/features: The F2 Carbon Forge is Fly Racing’s factory race helmet. It features carbon fiber Kevlar shell construction, MIPS (Multi-directional Impact Protection System) and a Coolmax interior. A quad-vent above-goggle eyeport draws air from the goggle to reduce fogging. 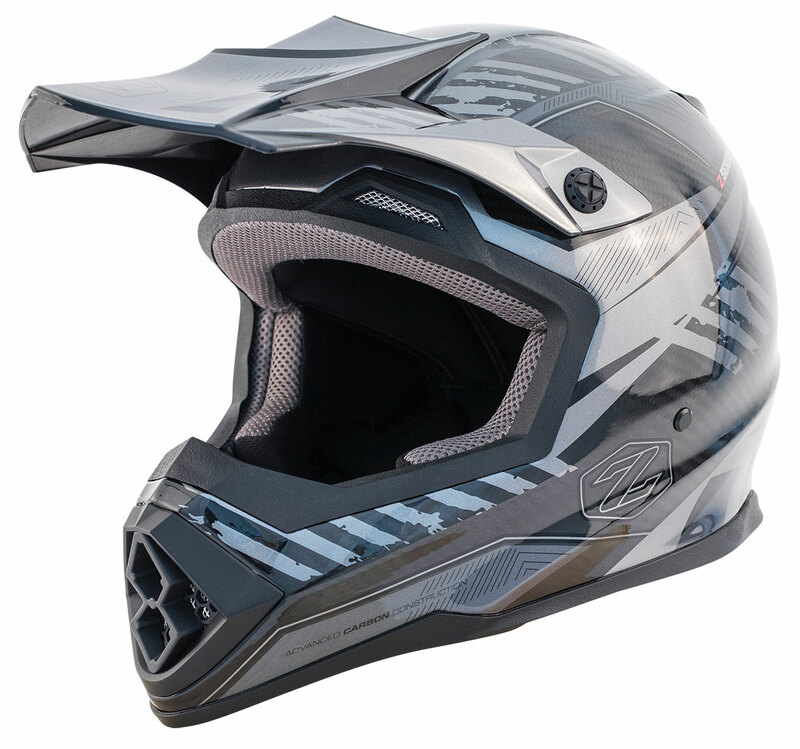 Technology/features: The Fox V3 has a new level of visor technology (magnetic visor release) and features Multi-directional Impact Protection Systsem (MIPS), which reduces rotational violence to the brain. It has a new multi-composite construction that has shaved some weight off the package. 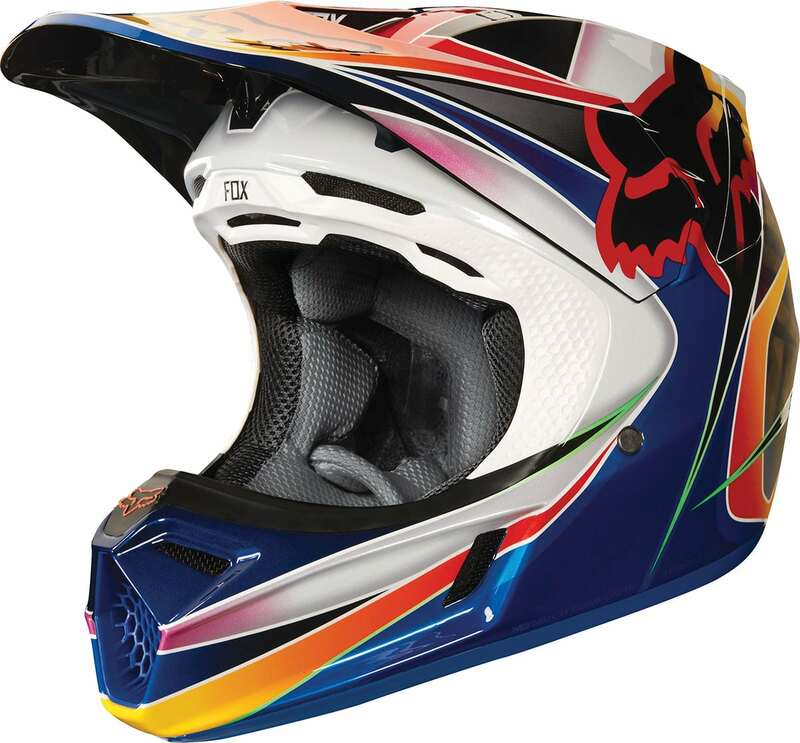 Technology/features: FXR has a number of helmets in its arsenal, but its top-of-the-line motocross helmet is a carbon fiber model that is lightweight, well vented and certified. 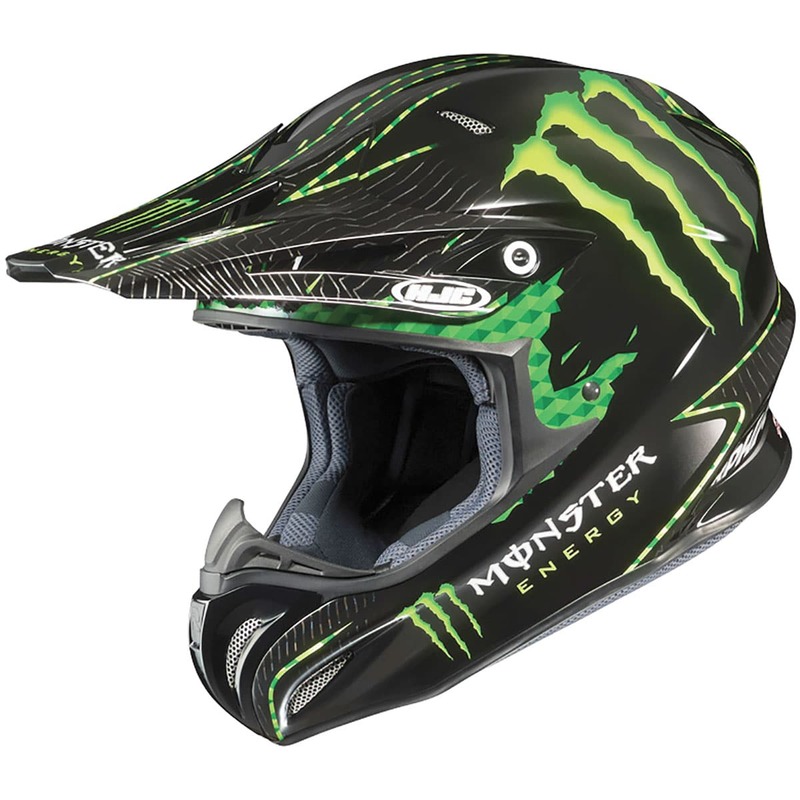 It uses a dual-density EPS liner, has a rear diffuser to transfer impact loads to compatible neck braces and has a hi-flo visor to reduce drag and protect from roost. 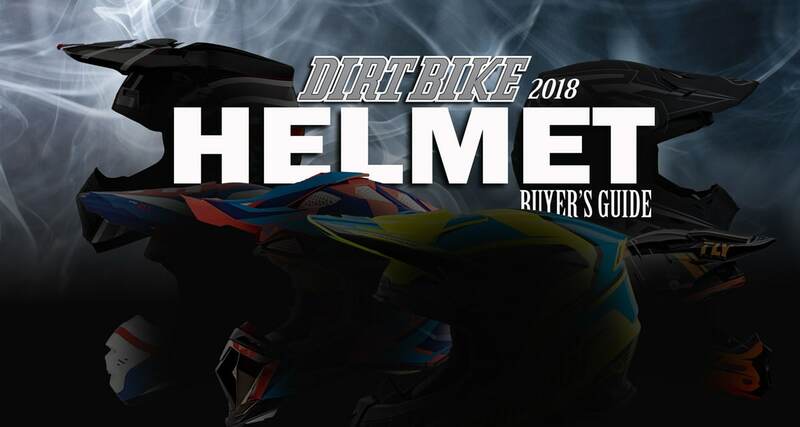 Technology/features: The RPHA X is HJC’s high-end motocross helmet that is both DOT- and Snell-approved and uses CAD technology for fit and feel. It has a removable liner, aerodynamic rear spoiler and a large eyeport for maximum visibility. 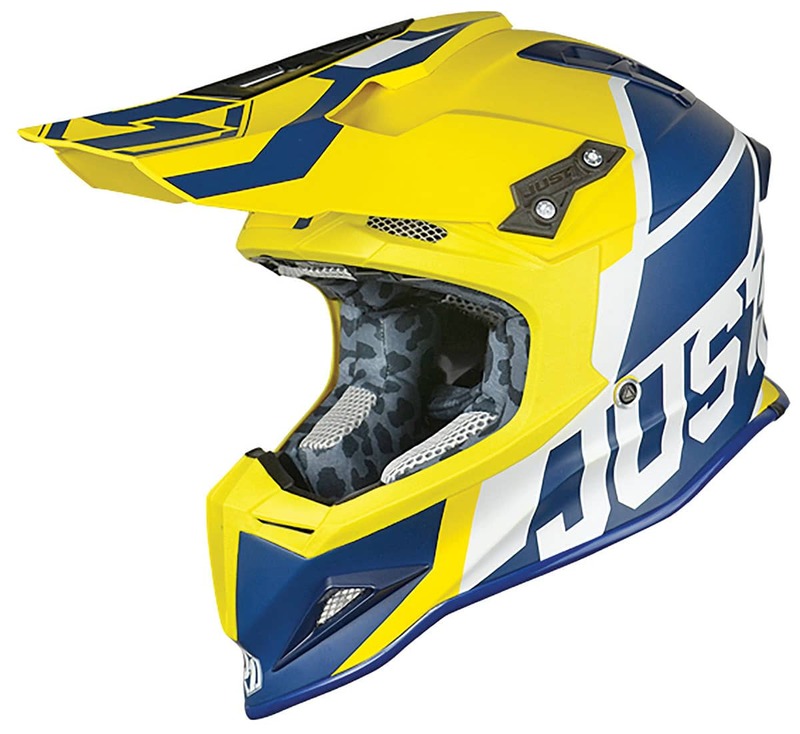 Technology/features: The Just1 J12 is a full carbon fiber helmet, making it extremely rigid and very light. The Just1 J12 has two exterior shell sizes ensuring proper fit and the inner shell dimension (EPS foam and for lightweight, high-impact absorption) is scaled to fit the shell. The J12 is fit with the J.1.E.R. cheek pad removal and has a double-D retention system. 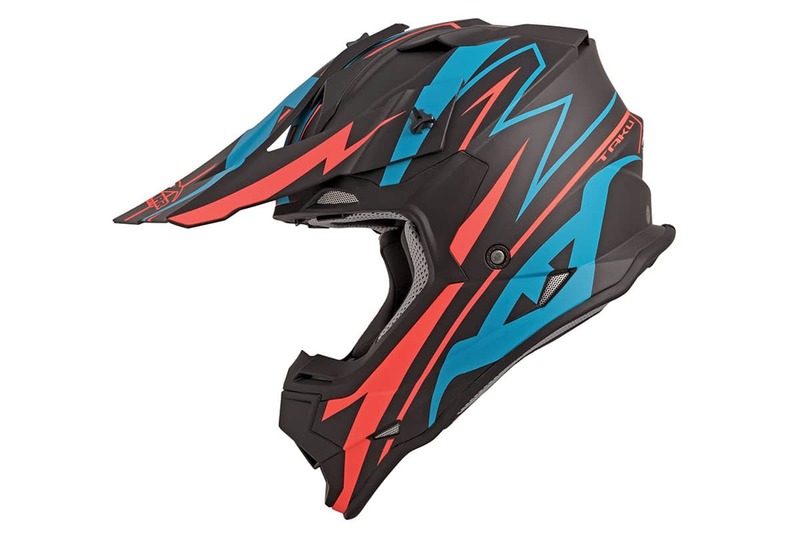 Technology/features: The Prana Carbon is Kali’s top-of-the-line MX helmet and is fit with Composite Fusion Plus and Contigo LDL, which dissipates impact forces while handling the rotational forces. The Prana uses a breakaway visor, anti-microbial pads, a removable/washable liner and helmet sock and comes with a travel bag. 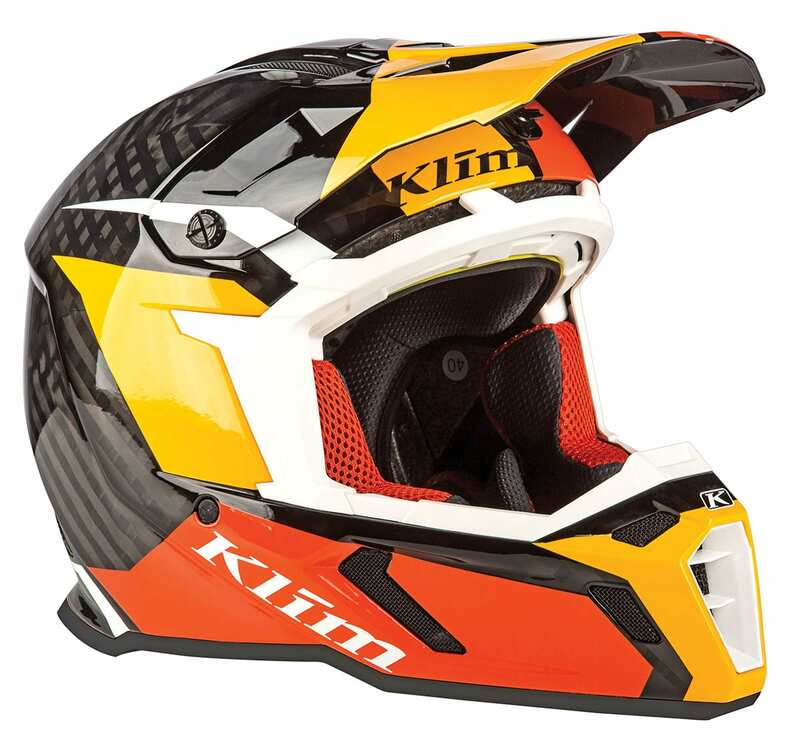 Technology/features: Klim’s F5 features focused ventilation created by consistent linear air pressure throughout the helmet and now has integrated Koroyd technology and MIPS rotation force mitigation. Koroyd is installed in the inner liner, replacing EPS foam at the key impact areas. It excels at reducing peak G-force transmission while remaining ultralight and porous. MIPS reduces rotational forces at an angled impact. Technology/features: Leatt’s GPX 6.5 Carbon is its high-end model and uses 360° Turbine Technology turbines made of 3D-molded energy-absorbing material. This technology targets the reduction of rotational acceleration to the head and brain and the absorption of energy upon impact at concussion level. It’s molded from an energy-absorbing material that hardens on impact. A 10-percent-smaller shell transfers up to 20 percent less rotational force to the neck, head and brain. 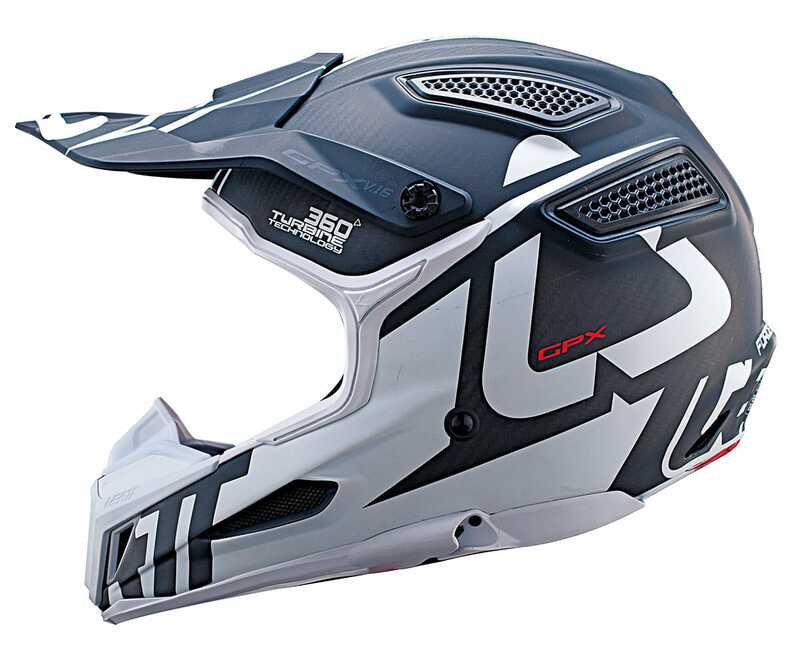 Technology/features: The LS2 MX470 Subverter brings new technology to the motocross line via a lightweight shell that is made from proprietary kinetic polymer alloy. This utilizes nanotechnology to enhance the penetration resistance, strength and energy management of the shell without adding weight. The Synthetic Scalp System, a rotational energy management system, combats injuries. It has a removable liner with enhanced airflow. 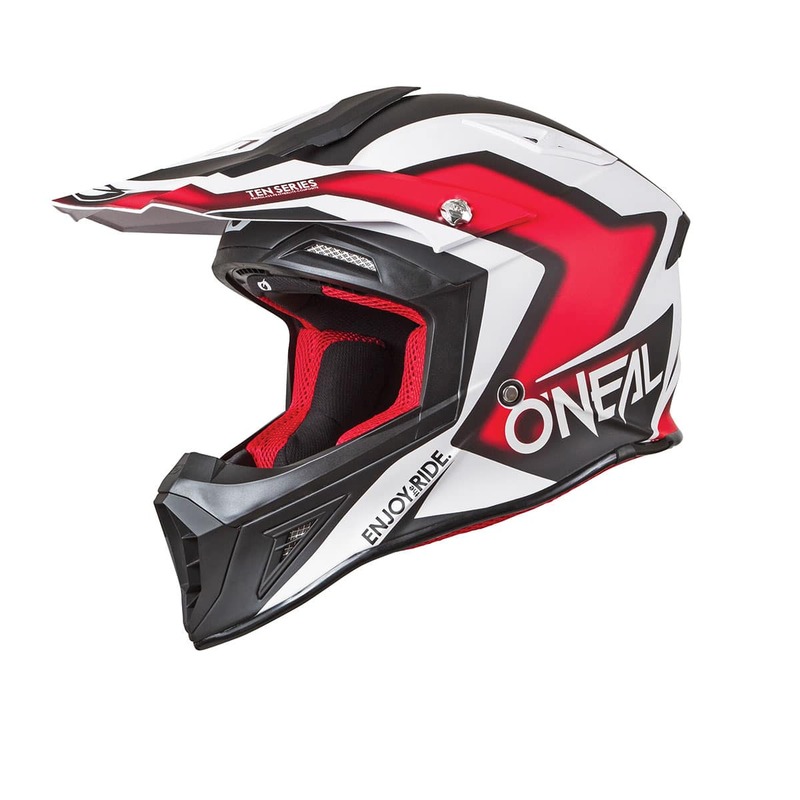 Technology/features: O’Neal Racing’s high-end motocross helmet has a lightweight carbon shell, has strong venting with oversized apertures, and uses a Coolmax liner that is removable, washable and sweat-wicking. Air intake at the mouth is screened, and there are side-goggle traction pads. 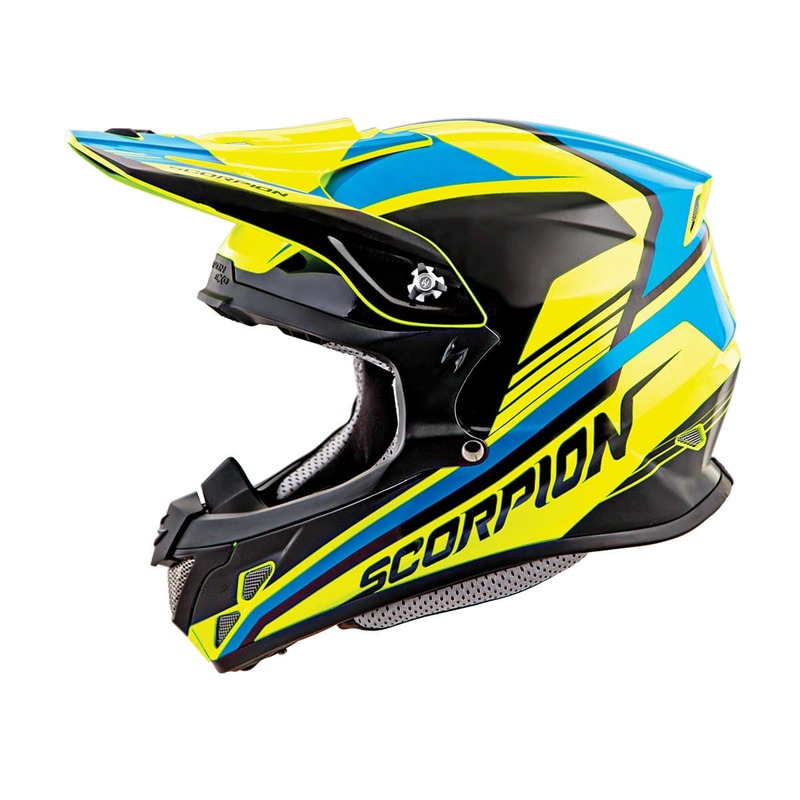 Technology/features: The Scorpion VX-R70 is used by some top off-road racing teams because of its lightweight shell, dual-density EPS system and KwikWick II liner for moisture control and comfort. It uses an AirFit cheek pad system for a custom snug fit and aero-tuned ventilation for maximum breathability. Titanium corrosion-proof D-rings, a tool-less quick-change chin vent system, a shatter-resistant aero-tuned Exolon visor and a large goggle eyeport highlight the VX-R70. 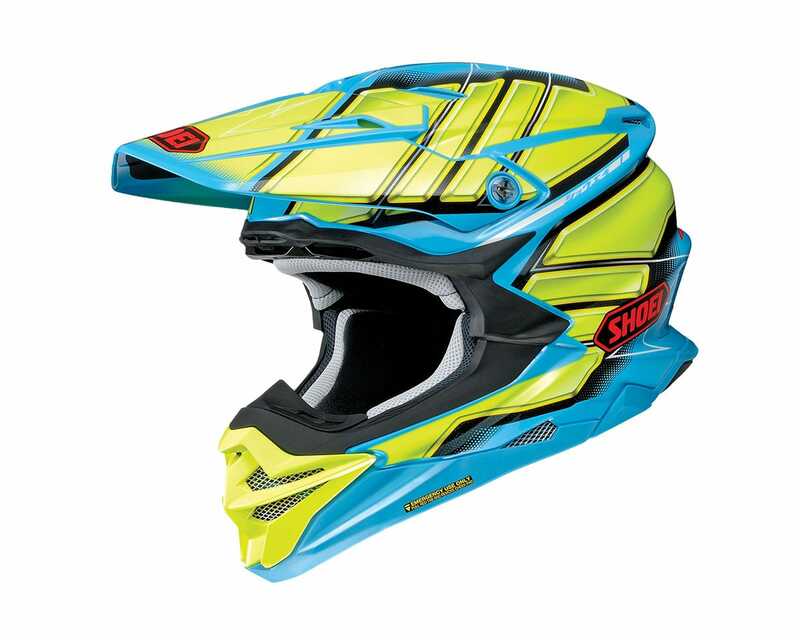 Technology/features: The Shoei VFX-EVO has been completely re-engineered and features the Motion Energy Distribution System (M.E.D.S) engineered to reduce rotational acceleration energy to the head in the event of an accident. 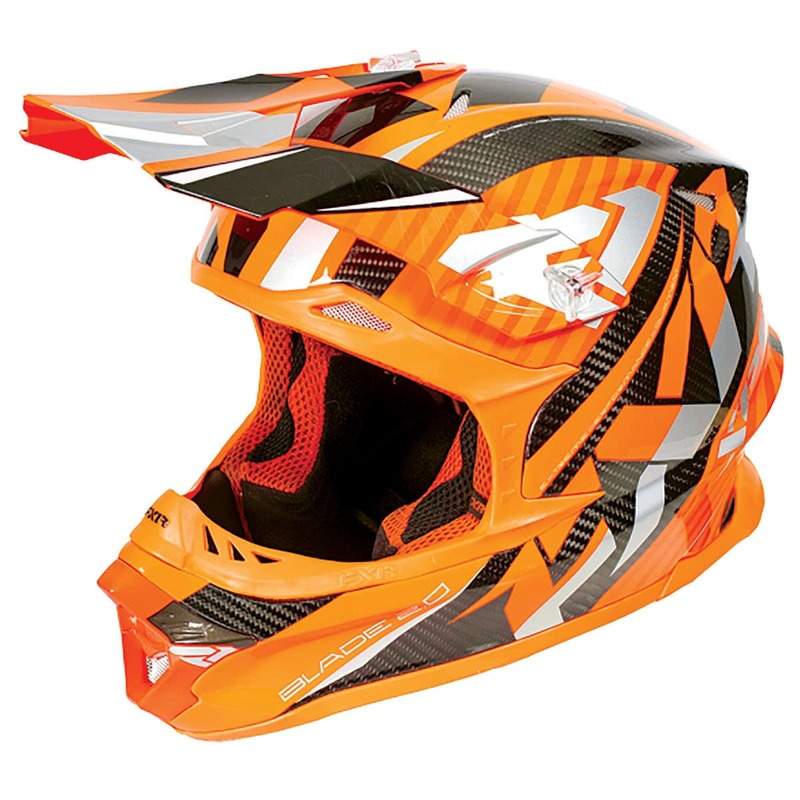 The lightweight, high-performance shell has optimal impact absorption and a shell-integrated goggle retention system. It uses a dual-layer, multi-density EPS liner and is available in four shell sizes. The large eyeport allows for greater peripheral vision and allows for oversized goggles. Venting: There are sixteen intake and exhaust vents shaped and located to maximize airflow and negative air-pressure suction to the rear of the helmet. 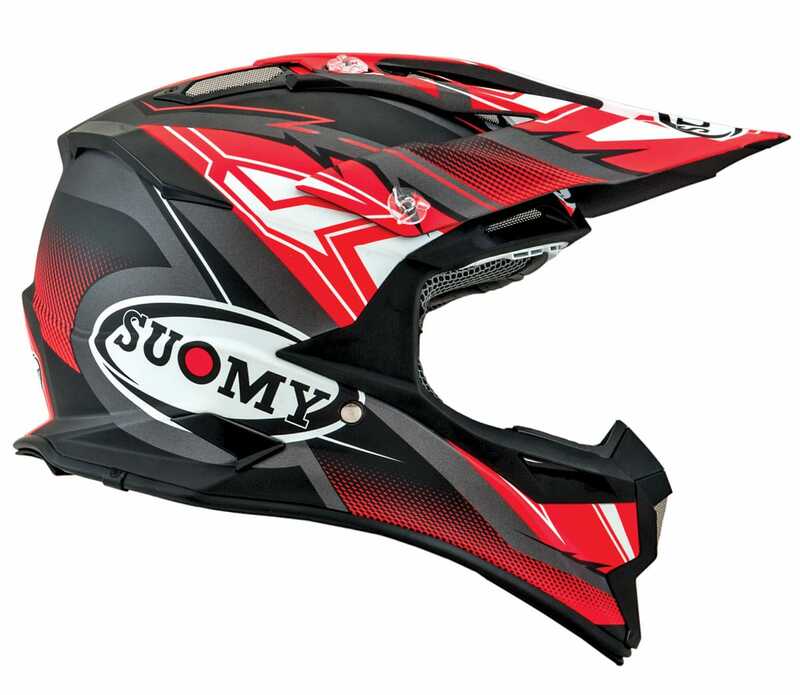 Technology/features: Suomy’s top-of-the-line MX helmet features a newly re-engineered Tricarboco composite shell with a more robust carbon fiber Kevlar base, making the Alpha more impact-resistant while keeping weight to a minimum. 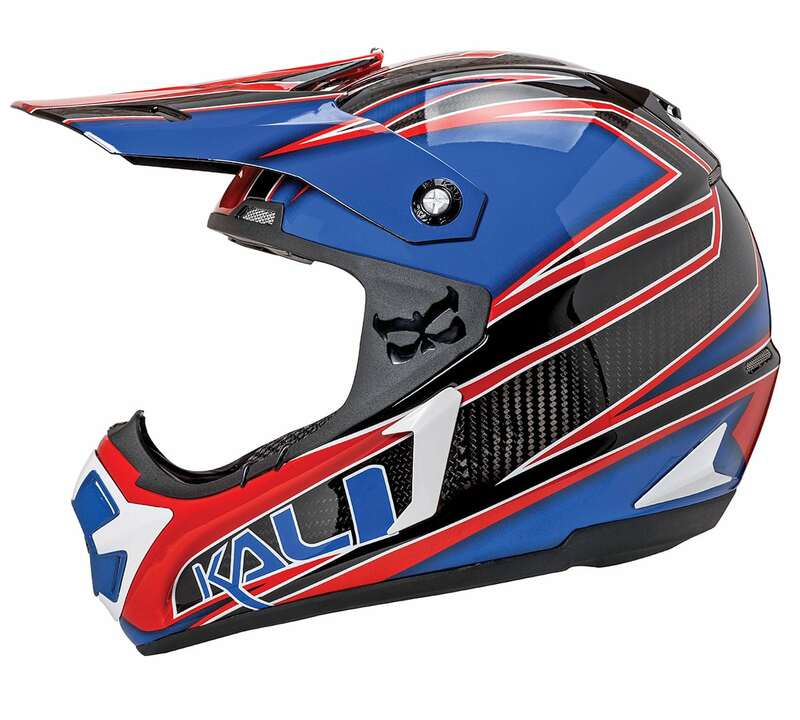 The new shell design reduces impact angles and works with modern neck braces. The Alpha features new interior quick-release cheek pads, is more impact-resistant, is super lightweight, and comes in two shell sizes and three EPS sizes to maximize fit and comfort. Certification: DOT-approved and ECE 22-05-certified. 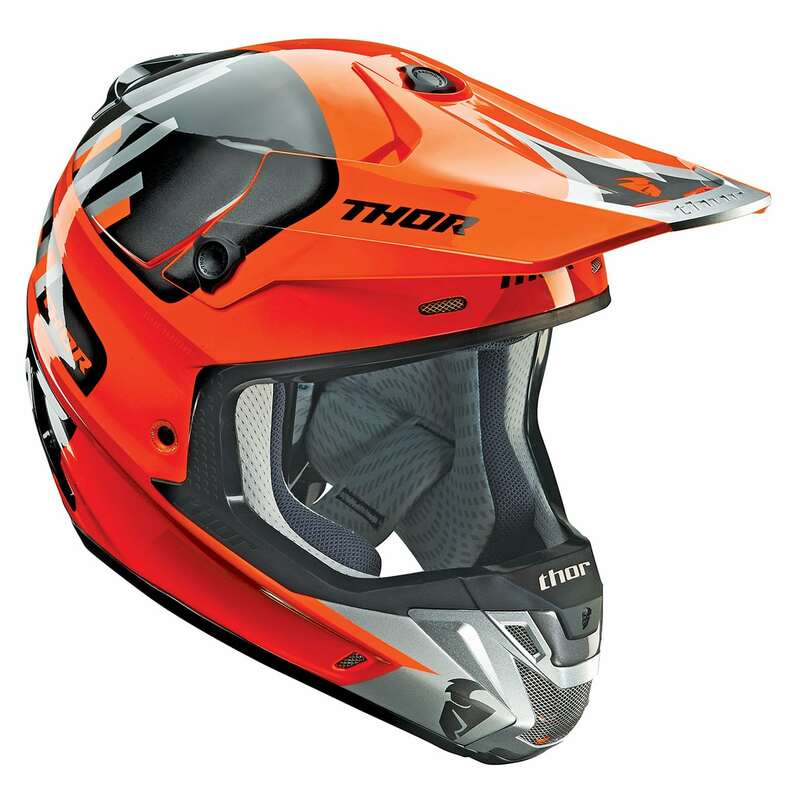 Technology/features: The Thor Vortechs helmet is Thor’s premium lightweight motocross helmet. It’s built around hand-laid composite fiberglass for strength with focus on minimal weight. It features a number of air intake ports for venting and has an anti-bacterial, removable and washable SilverCool liner. 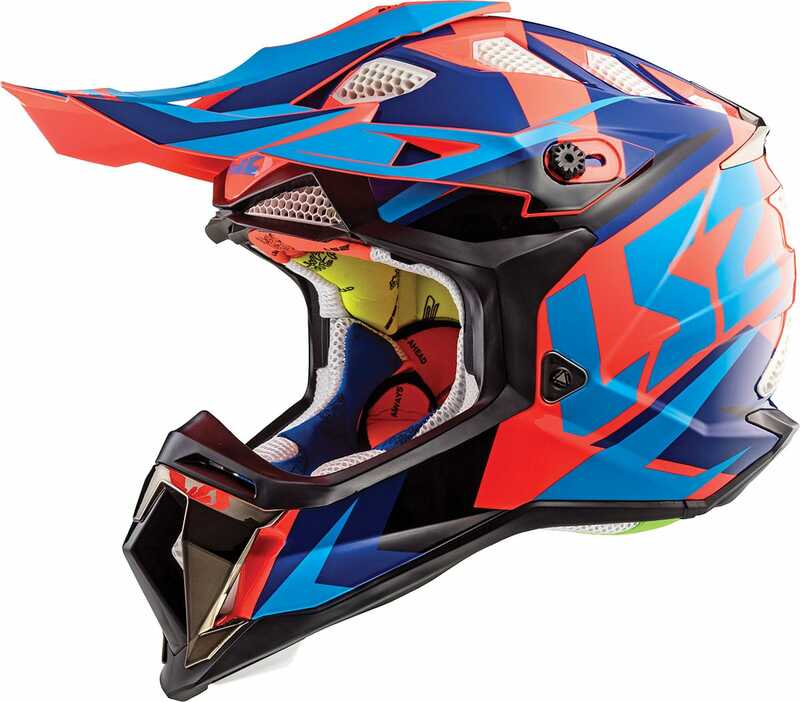 Technology/features: Troy Lee Designs is a graphics giant, and its SE-4 carbon MIPS is the lead model in its vast arsenal. Weighing 2.92 pounds, the carbon incorporates MIPS (Multi-directional Impact Protection System) and has 22 intake ports to channel cooling. There are three shell sizes and anatomical 3D-contoured cheek pads with an emergency release system for EMS responders. Technology/features: A popular helmet on the GP circuit due to its super-light weight, the UFO Diamond features RAIS (Rotation Impact Absorbing System). This system consists of a main inner shell in high-density EPS, as well as an inner oscillating shell of low-density PPE to provide the latest technology in impact force dissipation. It uses a sliding visor (adjustable length), racer-designed airflow management, emergency cheek pad removal and heat dissipation via rear extractors. Venting: AES (airflow extraction system) ventilation system—three vents, plus four slots into four rear extractors. Technology/features: The Vemar Taku is engineered and manufactured in Italy and meets the ECE standard, along with DOT criteria. There are two shell sizes, which cover six helmet sizes, and the mid-oval shape offers a more generous fit front to back and is snugger ear to ear. The liner is removable, washable and uses a special fiber that fights against odor and bacteria while having strong wicking capabilities. 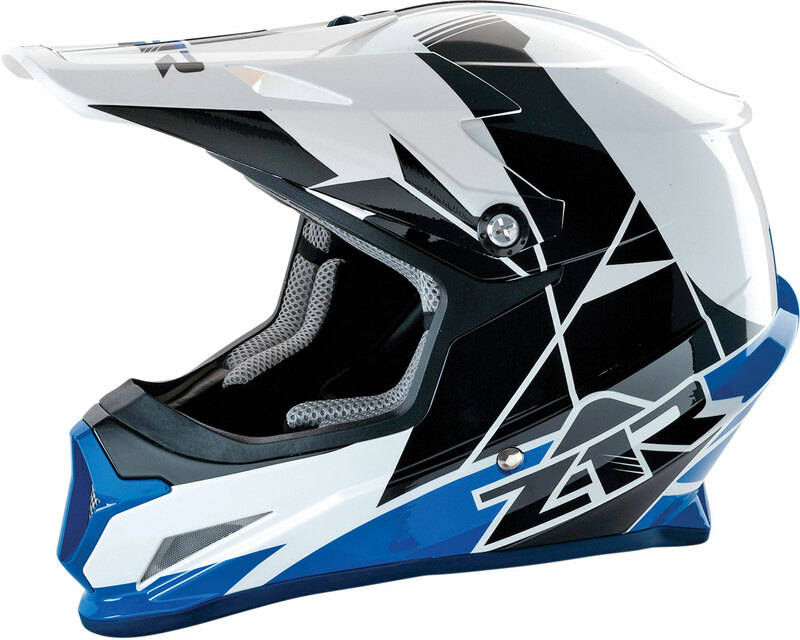 Technology/features: The Z1R Rise is a price-point helmet fit with strong features. It’s DOT- and ECE-approved, has dual venting, a moisture-wicking liner and a dual-density EPS liner for progressive impact absorption. 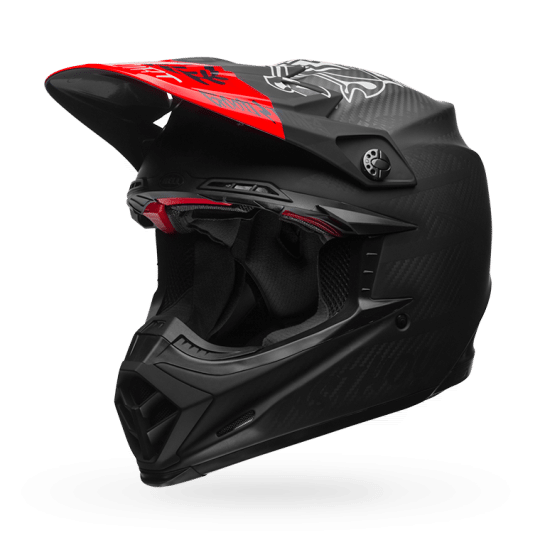 Technology/features: The Zox matrix carbon/carbon Kevlar is a lightweight MX helmet that features a carbon shell, a removable/washable liner and is designed with both intake and exhaust venting for good airflow. 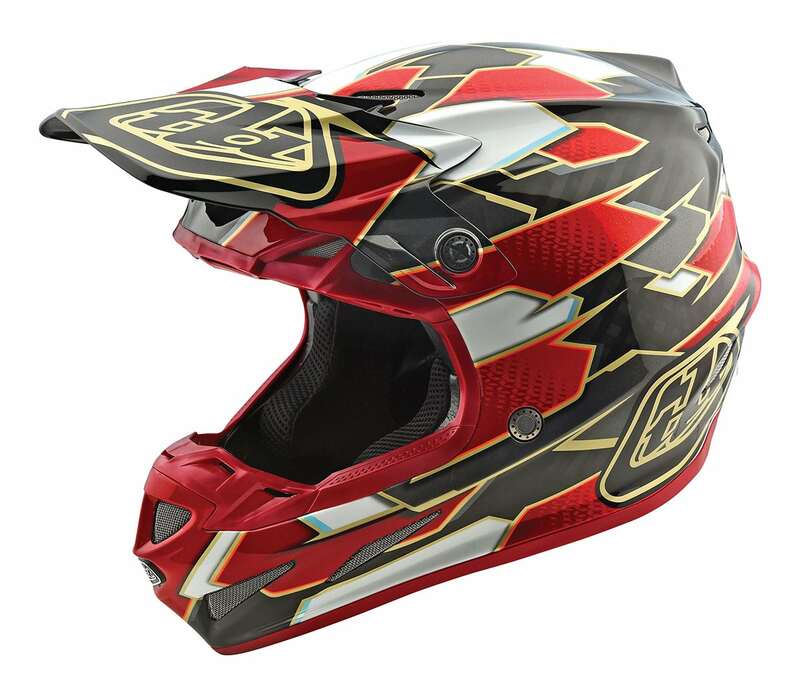 The helmet has enhanced comfort via the padded double D-ring chin strap.